Our goal is partner with parents to lead their children to be disciples who make disciples. This is done in a variety of ways for each age group. We have age-appropriate classes for kids, birth through 5th Grade, so they can learn about Jesus on their level. If this will be your families first time visiting and you want to get your child(ren) checked into Kids Central, make sure and fill out the pre-registration form below. This information will be collected and inputted into our church database. Once your information has been received you will be contacted before your next visit with the information needed to check into Kids Central. Your child's safety is important to us. Each week you check in, you'll receive a randomly assigned number that will be used to pick up your child. If you lose your child's corresponding tag, you will need to present identification to receive your child. 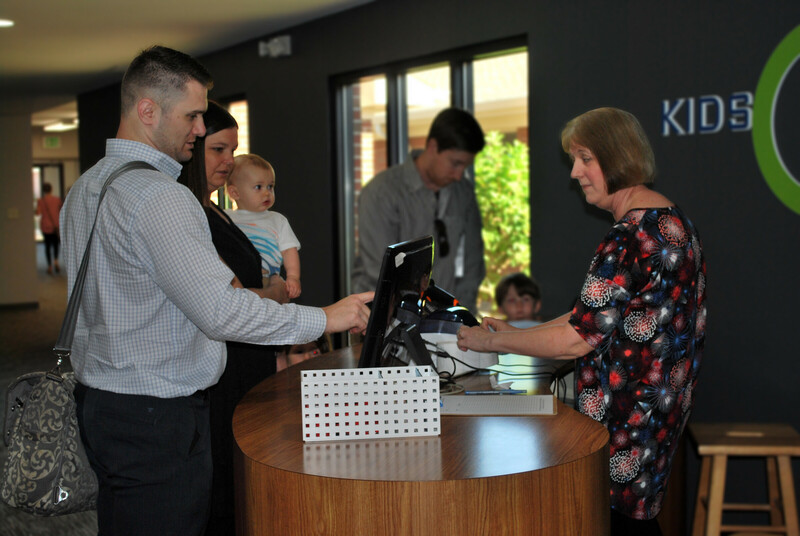 Once your child has checked in, you can expect to be welcomed by our Kids Central Greeter and for your child to experience a safe, fun and engaging environment. In each class kids will learn about God and what the Bible says, grow in relationships with peers, and be encouraged to live out what they've learned and share God’s love with others. Children will learn that God loves them through songs, prayer, and sensory activities. Children will grow in their understanding of who God is and what the Bible teaches through lessons, group activities, songs, and prayer. Children will grow in their knowledge and understanding of who God is and what the Bible teaches. They will develop an understanding of how to apply the truths in the bible, and share God’s love with others. Our goal is to provide a variety of opportunities for children to learn, connect and grow. We want them to learn about God and what the bible teaches, connect with their peers, and grow in their ability to apply god’s truth in their daily lives and share His love with others. Your child will learn, connect, and grow through bible lessons, group activities, songs, small group discussion, prayer, and communion. At New Hope, we strive to create life-changing services that point everyone to the greatness and love of God. We want to clearly and consistently communicate the good news of Jesus to all who gather with us, being disciples making disciples.